As One-Stop Lubricant Solution for customers, our services are not only limited to blending and packing of the finished products. We are also providing services including bulk storage tanks, sheltered warehouse for finished products, drum yard for finish goods and supplies storage, and also full set of laboratory testing for lubricant. BLITZ OILmaintains 10,000 MT of base oil in 24 Base Oil Storage Tanks. These tanks allow us to have flexibility to store full range of base oils. Besides that, we are also engaging in Base Oil Trading by tanker and vessels. We have a 700m direct pipeline which connects our storage tanks. This facility enables us to pump base oil directly from ocean going vessels to any Bulk Oil Storage Tanks precisely and efficiently, thus, significantly reduce our costs of transportation. 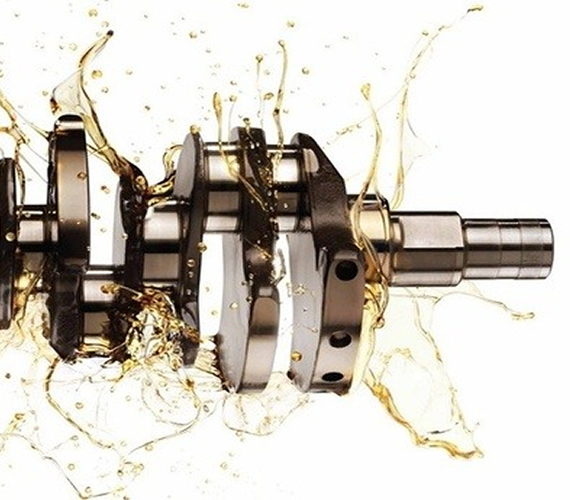 We understand that proper Lubricant Storage & Handling is vital - to reduce contamination and deterioration of lubricants - which in turn, reduce equipment downtime and machine failure. As a One-Stop lubricant solution for our customers, we provide Lubricant Warehousing for Lubricant Storage & Handling of finish goods, from Lubricant in Drum, Lubricant in Pail, to lubricant in carton packing. We have approximately 1.5 acre of Lubricant Drum yards- to store drum products. Our indoor Lubricant Warehouse space of over 30,000 square feet stores lubricants in Cartons and Pails. We strive for efficient manufacturing process, and thus we employ state-of-the-art lubricant blending tanks for world-class operational procedures in terms of quality blending. We have a total of 5 Blending Tanks at our manufacturing plant that facilitate our blending process. Our Lubricant Blending Tanks are time- and cost- efficient, resulting in lower cost and faster delivery time that ensure we are able to keep our promises. These Blending Tanks provide us the flexibility to blend various tonnages ranging from 5MT to 40MT. Tanker filling line with capacity up to 200MT per day. Drum Filling Machine (200L, 205L, 209L) with filling capacity up to 125,000L per day. Two high speed small pack Filling Machines with capacity up to 33,000L per day. Filling Machines are capable filling 0.5L, 1.0L, 3.0L, 4.0L, 5.0L and 7.0L bottles. Two lines of 18L/20L Pail Filling Machines with capacity up to 18,000L per day. As a One-Stop-solution centre for all types of lubricant, we have also an on-site Lubricant Testing Laboratory to ensure all the lubricants we produced meet industry specifications. BLITZ Oil's Lubricant Testing Laboratory is fully equipped with the latest laboratory testing equipment, such as Cold Cranking Simulator (CCS), Pour Point Tester, Inductively Coupling Plasma Spectro Meter, and Flash Point Tester and so on, for a wide range of detailed Lube Oil Analysis and Lubricant Tests. The Lube Oil Analysis is essential to ensure each and every blend produced by us passes through stringent quality control process for consistent quality assurance. All our raw materials for manufacturing go through strict quality testing and monitoring by our qualified chemists. Our chemists conduct a variety of Lubricant Tests to ensure that we are committed to our stringent quality specification. Our laboratory also provides used oil analysis; report on the condition of the used oil and insight into the condition of the machine. For types of test methods available at our lab, kindly refer to technical information – test methods.